Maybe the Nearby Norwegians have been busy playing peek-a-boo lately by not updating this blog regularly. But, we assure you that we are still kicking! 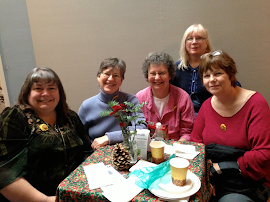 To start off the new year, here are some photos of Young Nearby Norwegians: Barbara, Carolyn, Cathy, Chery, and Luci. I'm sure our loving parents had no idea what we would get up to as we grew: rooting around in family documents, asking pesky questions, and being nosy, budding genealogists, in general. Can you match the little faces with the names? If you look closely, you'll spy at least one hint!